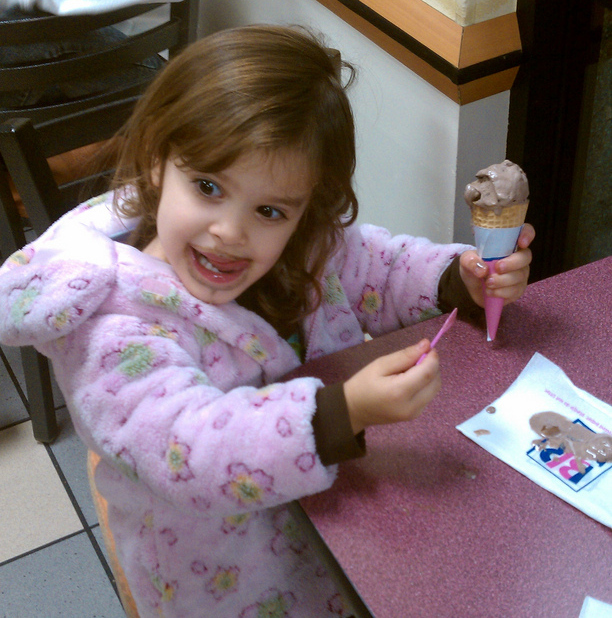 Tuesday nights is dollar scoop night at Baskin Robbins. We go even during the winter because it gets us all out of the house instead of being cooped up, and it’s festive to get ice cream. Here’s my youngest mugging for the camera. Next Post Sharks and dolphins and whales, O My!